when i run yu yu hakusho dark tournament in pcsx2 it only shows half screen...the other half is not visible.i tried pressing f6 but to no use. Try using a (Software) renderer in GSdx. 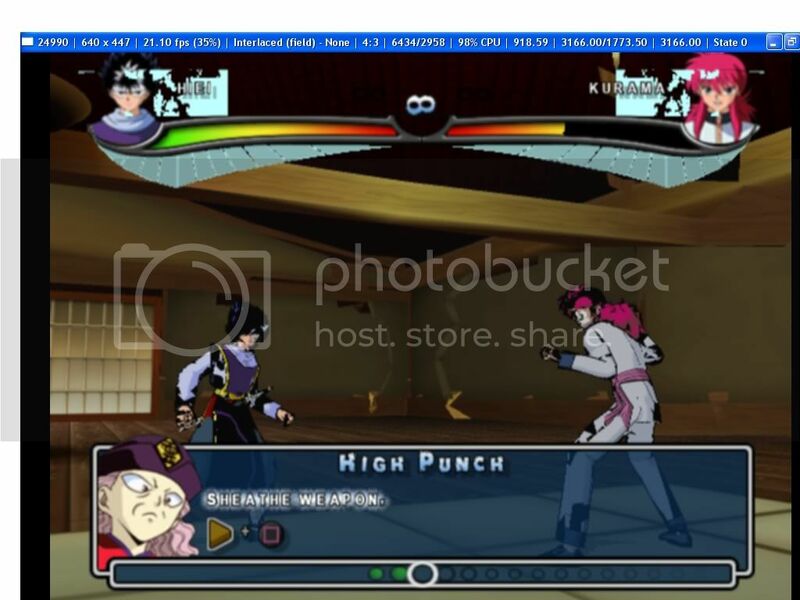 (04-14-2010, 01:36 PM)im abcd Wrote: when i run yu yu hakusho dark tournament in pcsx2 it only shows half screen...the other half is not visible.i tried pressing f6 but to no use. But that fixed it? Hmmm... try "native" in (Hardware) GSdx? (04-14-2010, 06:10 PM)Shadow Lady Wrote: But that fixed it? Hmmm... try "native" in (Hardware) GSdx? i have tried it under native...n i get the full screen but as i have shown in the screen shot the characters look a bit black..how to scale x2 under dx10?